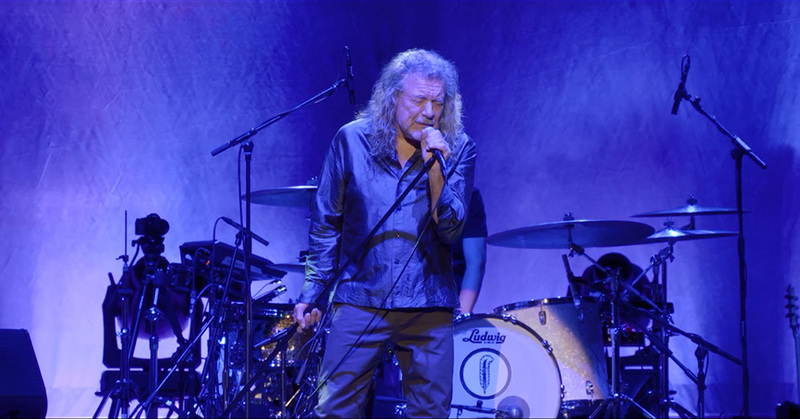 Robert Plant is extending his US tour in support of “Carry Fire” with a series of newly-added concert dates this fall. In addition to a previously-announced series of festival appearances in September – including St. Louis’ LouFest, the Telluride Blues & Brews, Kaaboo in Del Mar, California and Louisville’s Bourbon & Beyond – the rocker has filled out the run with gigs in Kansas City, MO, Santa Fe, NM, Tucson, AZ, Tulsa, OK, and three shows in Texas that wrap up with a taping of a future Austin City Limits broadcast on PBS. Outside of the festivals, tickets for all new Plant shows are now on sale at robertplant.com. News of the fall headline concerts comes on the heels of the completion of a series of North American dates by Plant and the Sensational Space Shifters last month; the group are launching a two-week trek across Europe that starts this week. Plant recently issued an animated video for the track “New World” from the project. “Every day our senses are assaulted by the ridiculous,” says the rocker. “It's not so long ago that today's plots and wrangles between nation governments would seem too far-fetched to inspire a Hollywood blockbuster. The perversions and struggles leave a shadow over the spirit of the people and the land. It's not an original sin. Every era bears the burden of chaos and warmongering. Time immemorial.